These three year-old mid-February shorn first cross ewes scanned 133pc in lamb to Poll Dorset rams sold for $242 at Chetwynd in Victoria on AuctionsPlus last week. SCANNED in-lamb crossbred and Merino ewes and lines suitable for immediate joining attracted the strongest competition from restocking sheep breeders in online sales last week. AuctionsPlus sheep and lamb numbers decreased by 6396 head to 57,116 and clearance remained steady on last week at 61 percent. As dry conditions prevail, the Tuesday National Sheep sale was boosted by several flock dispersal offerings including 2825 head from S.T. & A.J. Murphy at Mungindi in New South Wales and Moutajup Merino breeders P.R. & B.C. Hayes in south-west Victoria with 4111 head. Sheep and lambs offered in New South Wales dropped 9733 to 38,203, in Queensland by 2606 to 3441 and in South Australia by 1171 to 2869. Victorian sellers offered 10,867 sheep and lambs, 3543 more than last week as the dry season continued, and Tasmania’s offering lifted to 1616 head. Most of the week’s offering was bought by NSW buyers, 6068 head going into central western NSW, 4631 head into the Riverina and 2288 into the southern tablelands. South-west Victorian buyers took 3935 head and 5690 sheep and lambs were sold into northern and north-west Victoria. Buyers in lower south-west South Australia took 2857 head. Scanned in-lamb first cross ewes averaged $233, up $28 on last week. They sold from $138 up to $300 for 122 2-3 year-old ewes at Naracoorte in South Australia. The 72.7kg mid-October shorn ewes were mostly score 4 in condition and were scanned 100 pc in-lamb to Poll Dorset and White Suffolk rams. At Marulan in NSW, 86 rising three year-old ewes scanned in-lamb to Poll Dorset rams sold for $188. A line of 162 three year-old first cross ewes scanned 133pc in-lamb to Poll Dorset rams sold for $242 at Chetwynd in south-west Victoria. The mid-February shorn ewes weighed 62.4kg and were mostly score 3. First cross ewe lambs sold from $119.50 to $150, to average $131. 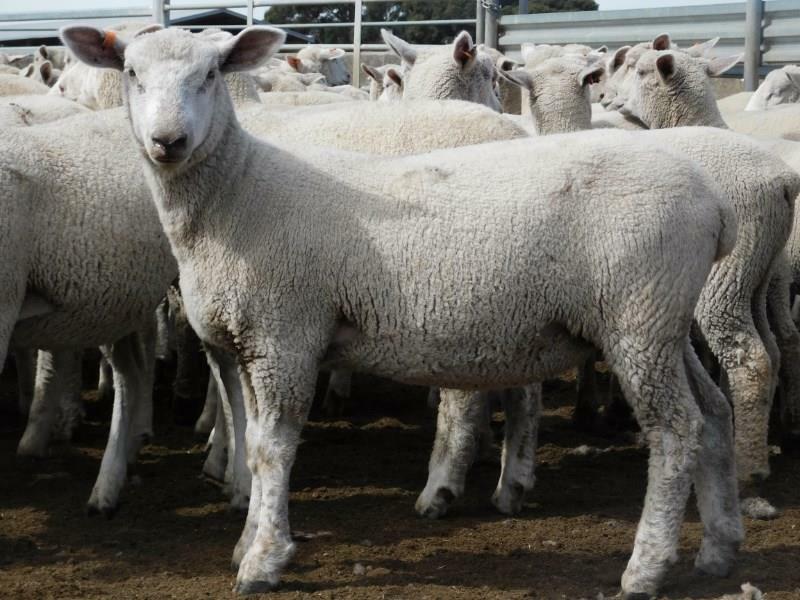 The top price was paid for 180 10-11 month-old mid-November shorn unjoined ewe lambs weighing 49kgs at Wellington, NSW. A line of unjoined 330 September/November 2018 drop ewe lambs at Warren, NSW sold for $122.50 to a buyer at Warrock in Victoria. Scanned in-lamb Merino ewes sold from $64 to $225 on AuctionsPlus last week, averaging $143. 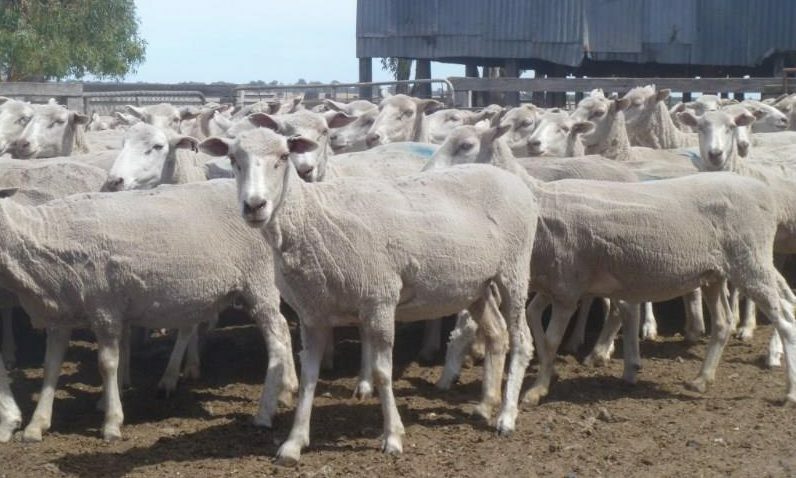 The top price was paid Victorian buyer at Nagambie for 240 mid-August shorn two year-old Merino ewes at Boree Creek, NSW. The The ewes were scanned 110pc in-lamb to Poll Merino rams, weighed 47.6kg and were mostly score 2. 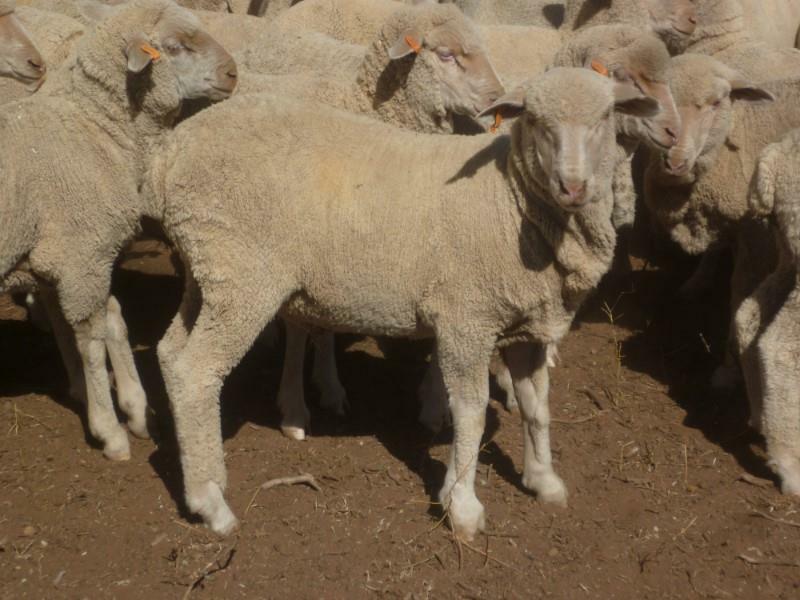 At Kingston in south-west SA, 130 2-7 year-old scanned in-lamb Merino ewes sold for $160. The ewes weighed 66kgs and are joined to Poll Dorset rams. Unjoined Merino ewes sold from $48 to $147, to average $103, down $18 on last week. The top price was paid for 220 2.5 year-old Merino ewes offered by P.R. & B.C. Hayes at Moutajup in Victoria. The early February shorn ewes weighed 46kgs and were sold to a Victorian buyer. The Hayes family offered 2384 unjoined Merino ewes in the dispersal sale and achieved a total clearance to average $103. At Melton Mowbray in Tasmania, 350 six year-old Merino ewes weighing 56kgs sold for $100. Unjoined Merino ewe hoggets averaged $120, selling from $71 to $173. The top prices was paid at Tullamore in NSW for 292 18-19 month-old mid-January shorn Merino hoggets. The ewe hoggets weighed 48.7kg and were mostly score 2. These last December shorn Merino wether lambs at Molong NSW sold for $114 on AuctionsPlus last week. The average price of Merino ewe lambs dropped by $26 to $93 on AuctionsPlus last week, with lambs making $40 to $114. The top price was paid by a NSW buyer at Deniliquin for 500 unshorn July-August 2018 drop Merino ewe lambs at Dirranbandi in Queensland. The lambs weighed 35.2kgs and were mostly score 2. Merino wether prices also dropped by $20, to average $67 with prices ranging from $40 to $82. At the Moutajup flock dispersal, 192 early February shorn 2.5 year-old Merino wethers sold to a Tasmanian buyer for the top price. The wethers weighed 53.6kg and were mostly score 2. At Rye Park in NSW, 588 18-20 month-old Merino wether hoggets sold for $65. Merino wether lambs sold from $32.50 to $114 and averaged $75. At Molong in NSW, 500 late December shorn July-August 2018 drop Merino wether lambs sold for the top price. The lambs weighed 44kgs and were mostly score 2 in condition. At Byawatha in Victoria, 200 10-11 monthold Merino wether lambs sold for $65. The lambs weighed 30kgs and sold to a Queensland buyer at Archerfield. These Southdown cross lambs weighing 48.1kg lwt or 20.9 kg cwt sold for $147 at Byaduk in Victoria on AuctionsPlus last week. Crossbred lambs sold from 268-359c/kg liveweight, to average 316 cents to be steady on the previous week’s prices. The top cents/kg lwt price in the National Lamb sale was paid 460 mid-January shorn Poll Dorset cross lambs at Cooma, NSW, that made $131 per head. The score 3 August-September 2018 drop lambs weighed 36.5kgs lwt or 16.9kg cwt. At Euroa in Victoria, 110 July 2018 drop crossbred sold for 314c/kg lwt to a NSW buyer.